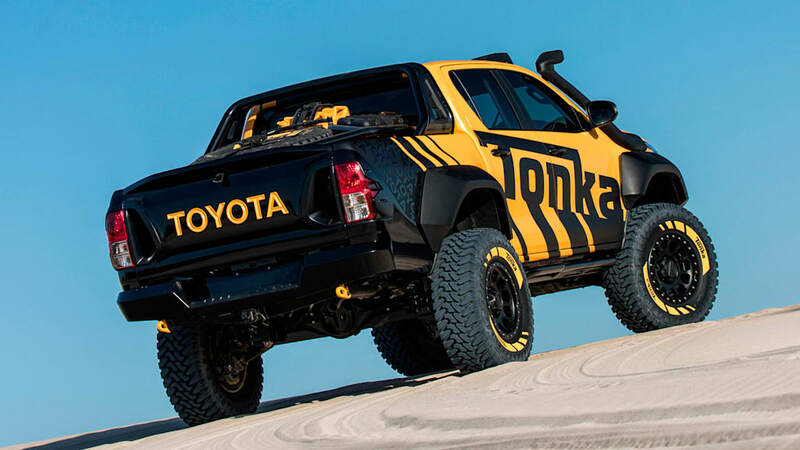 Like most enthusiasts, we spent our youth playing with Tonka trucks. 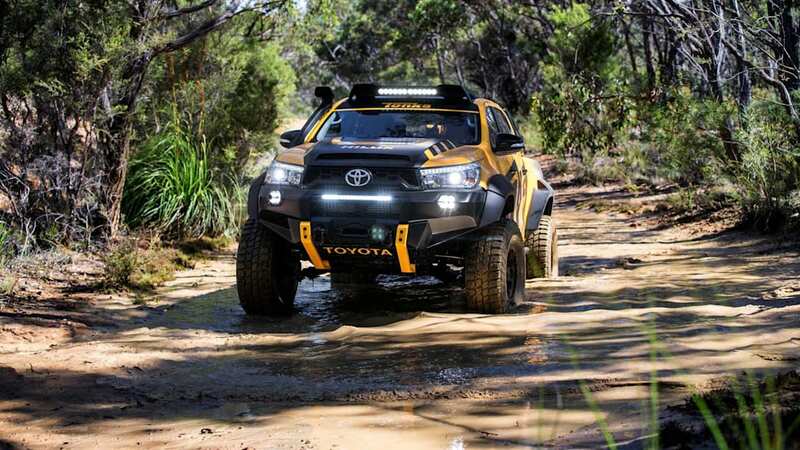 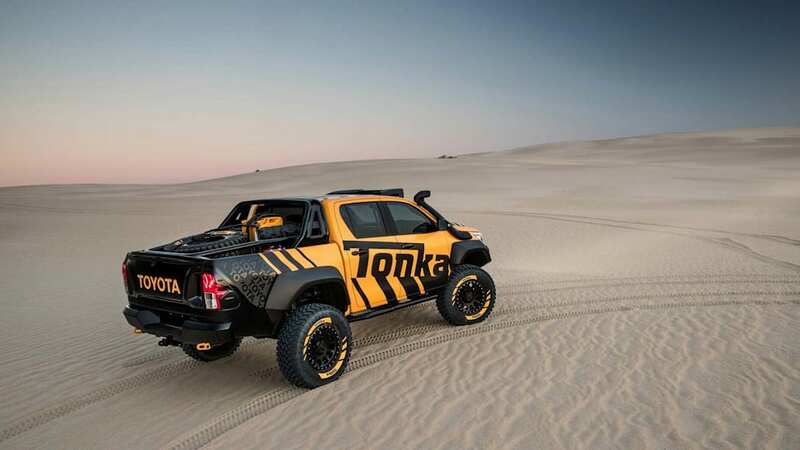 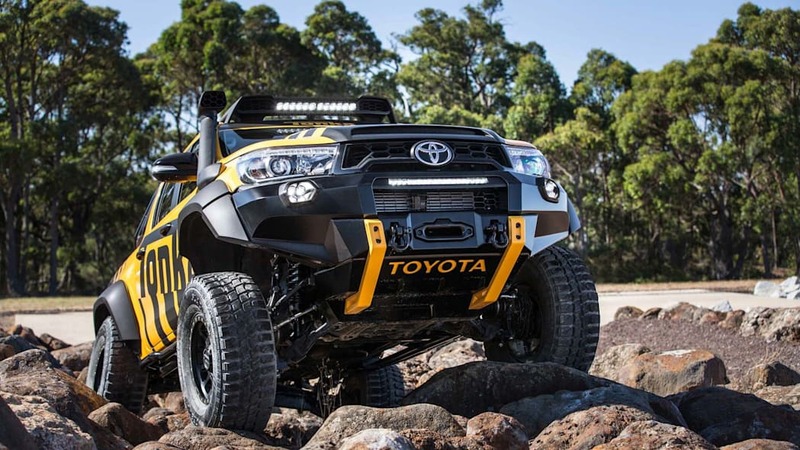 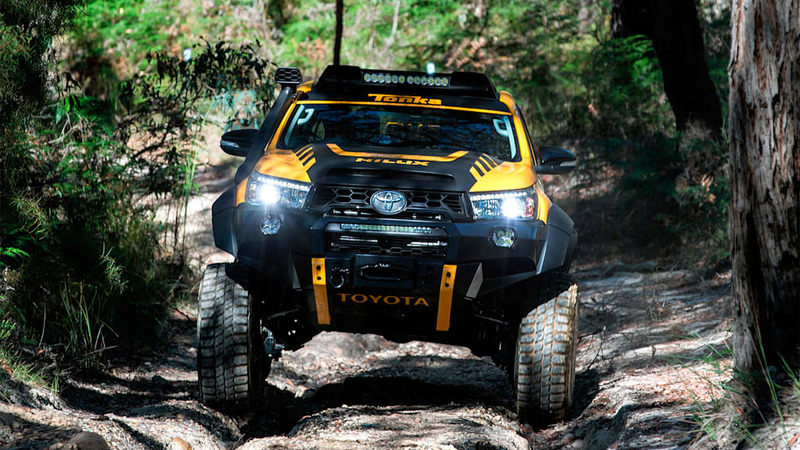 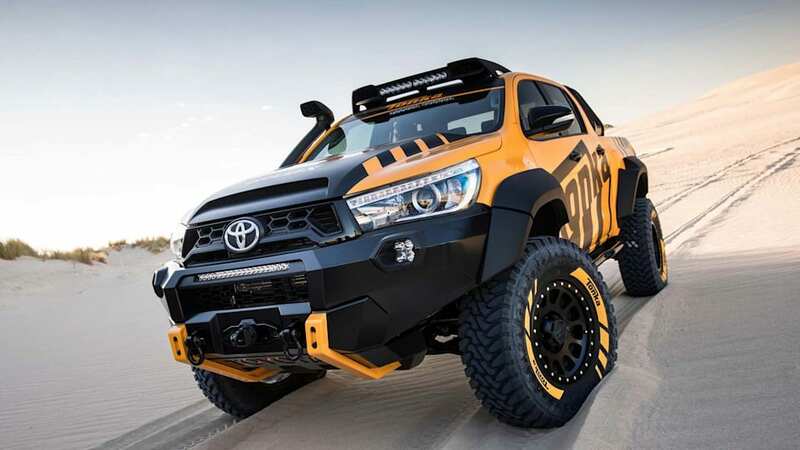 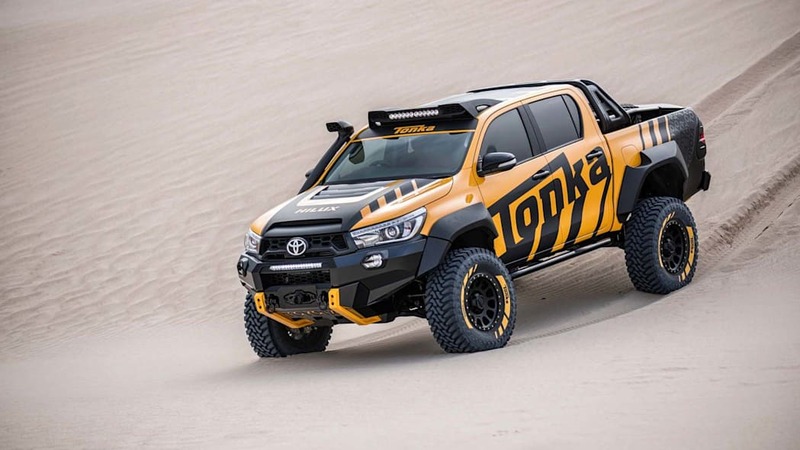 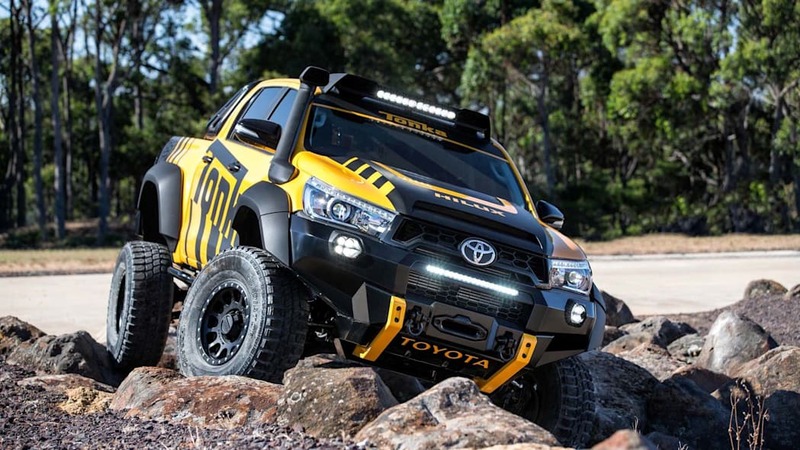 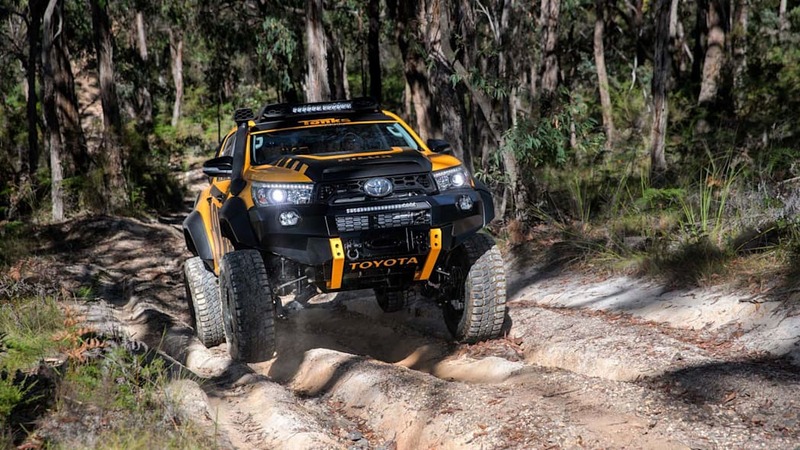 Now Toyota of Australia is hitting us with a big dose of nostalgia with its awesome new Toyota Hilux Tonka Concept. 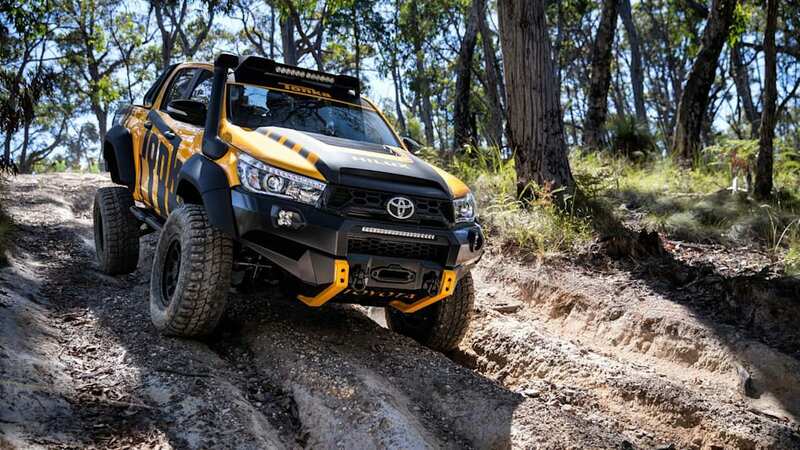 While many concept vehicles are fragile, hand-built machines, this truck is a tough and capable as it looks and is equipped to tackle the Australian Outback. 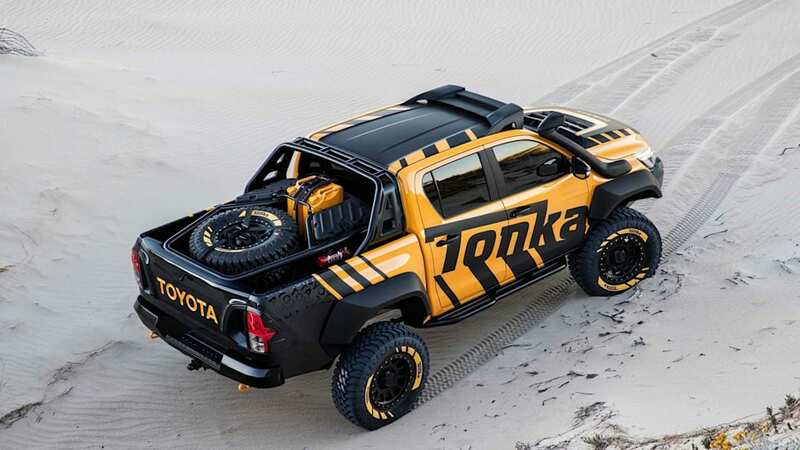 The concept is based on the Australian version of the Toyota Hilux pickup truck, in this case an SR5 double cab with a 2.8-liter, turbocharged four-cylinder diesel. 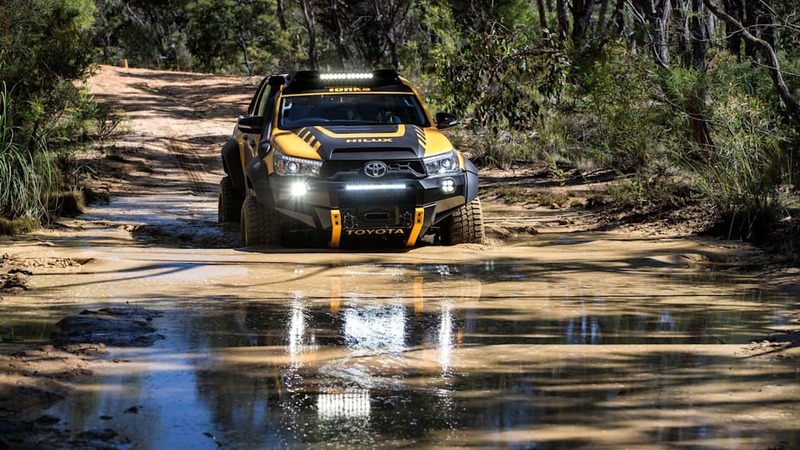 In 2016, the Hilux became the best selling vehicle in Australia. 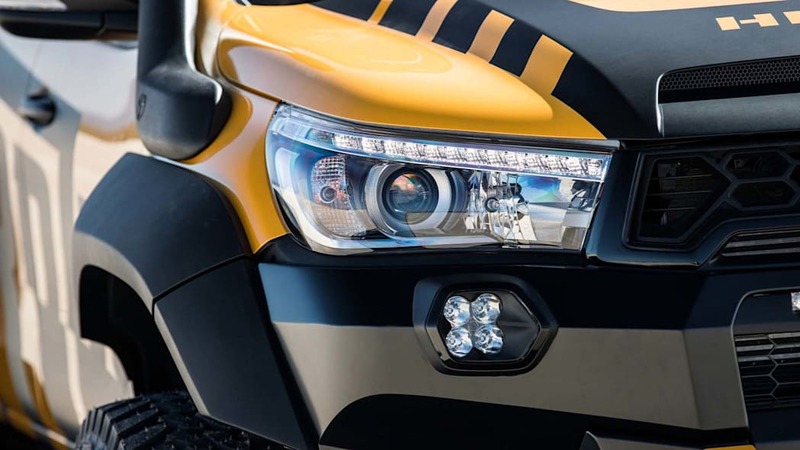 This new concept was built in part to celebrate that achievement. 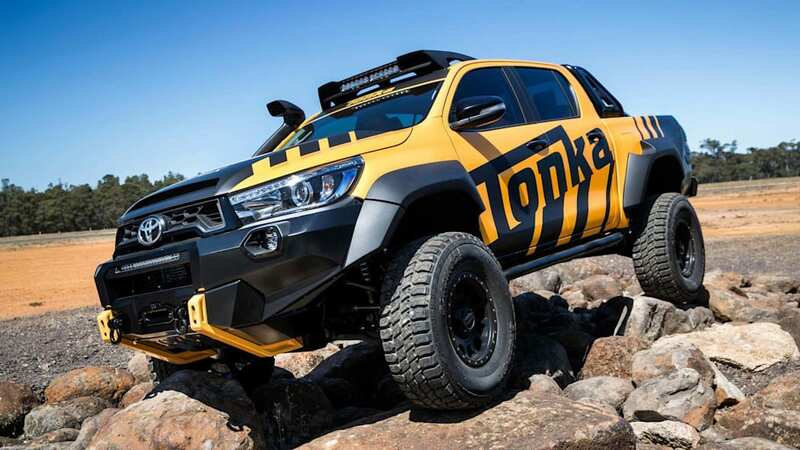 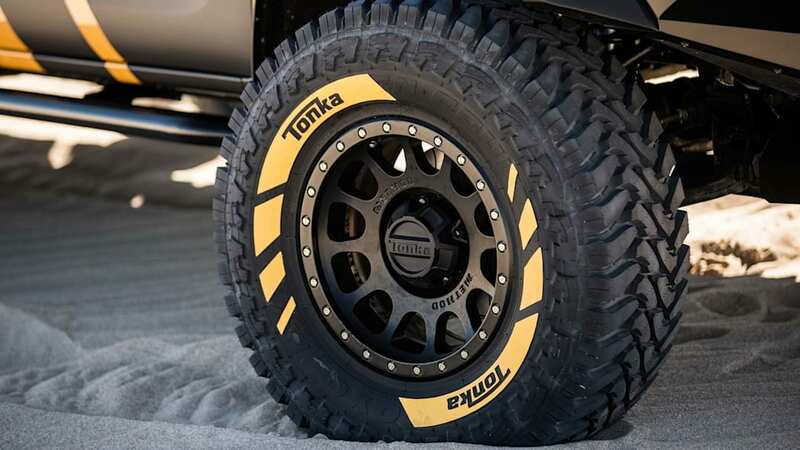 In addition to the classic black and yellow Tonka colors, this Hilux is packed with a suite of off-road goodies. 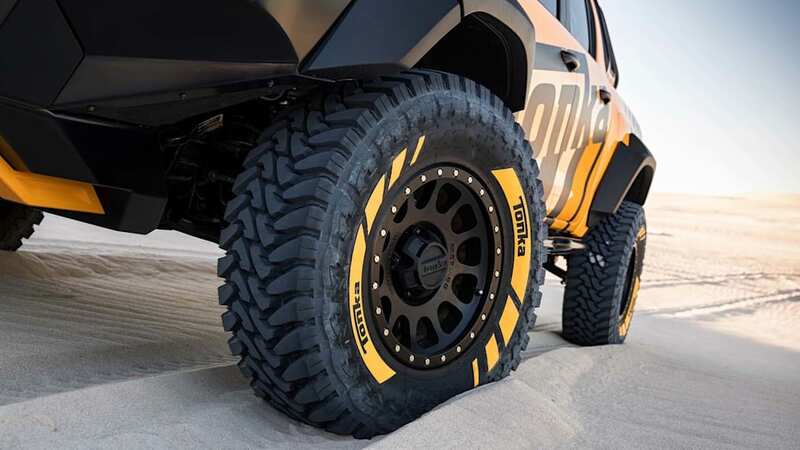 The ride height was increased 6 inches by upgrading the suspension, the axles, and adding 35-inch off-road tires. 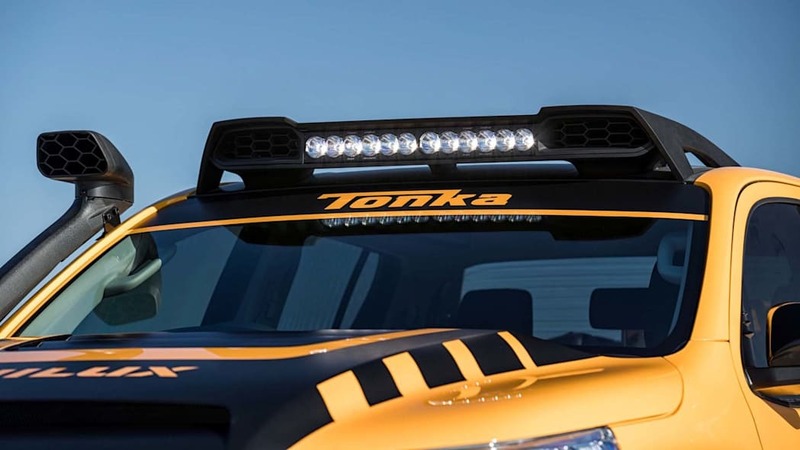 The aggressive front bumper has a 6 mm thick skid plate, hooks, and new LED lighting. 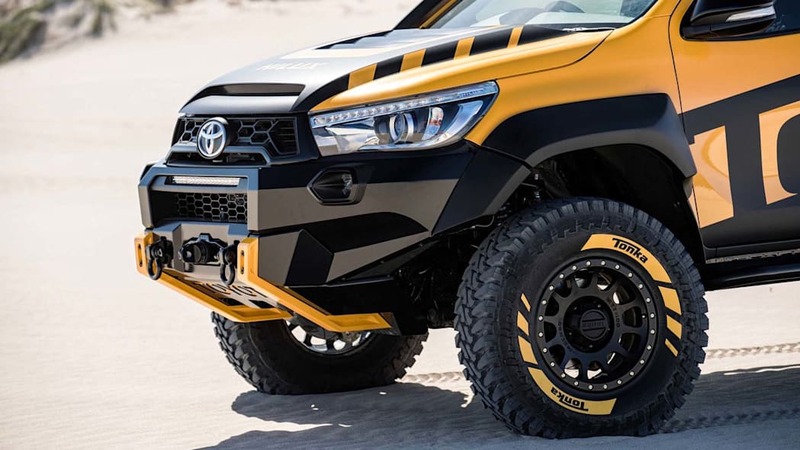 There are new vents in the hood and a snorkel on the right fender, and huge fender flares help stop mud and dirt coming off of the new tires. 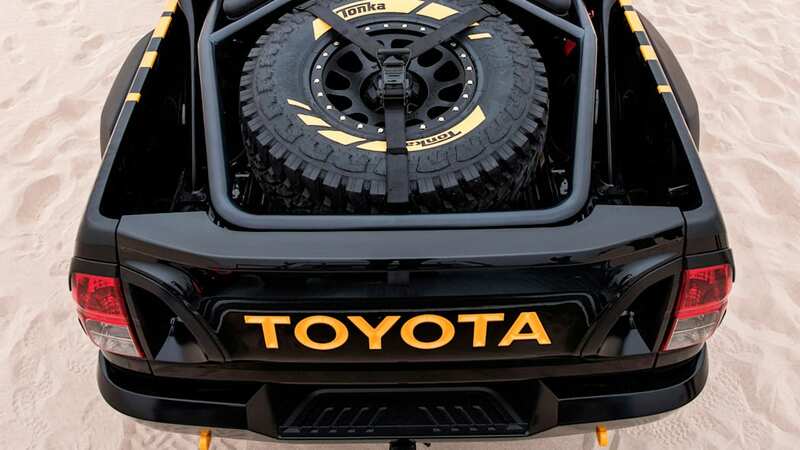 Out back, a new tailgate has vents to help air flow. 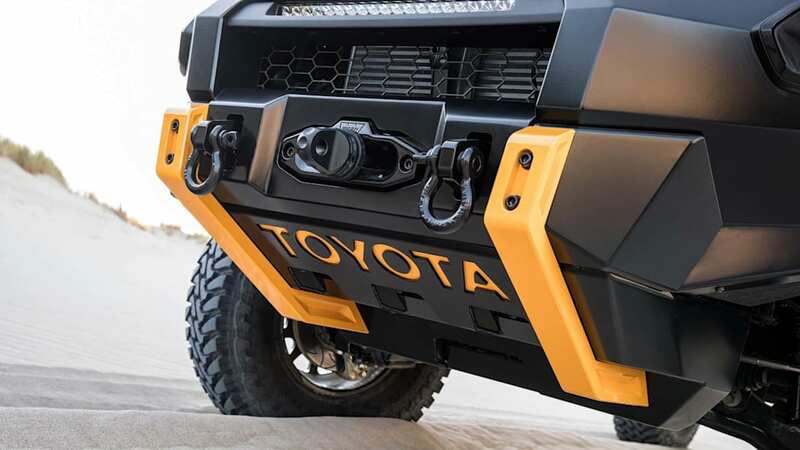 The bed has a tube frame to keep everything in place. 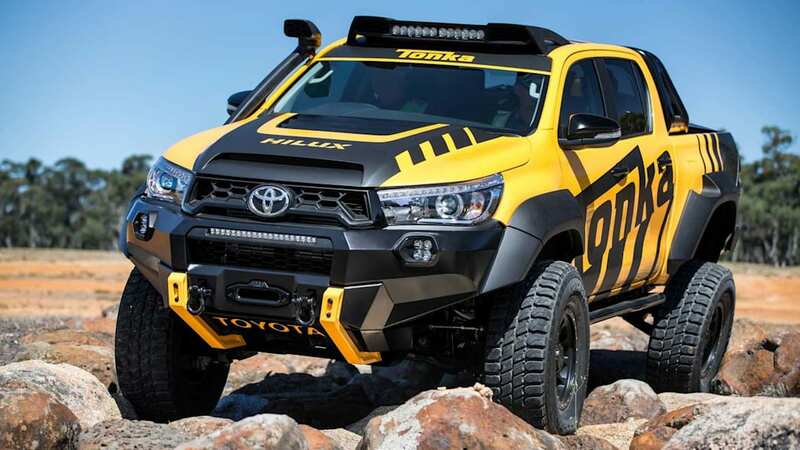 There are extra fuel cans, a fire extinguisher, an axe, a shovel, and a high-lift jack. 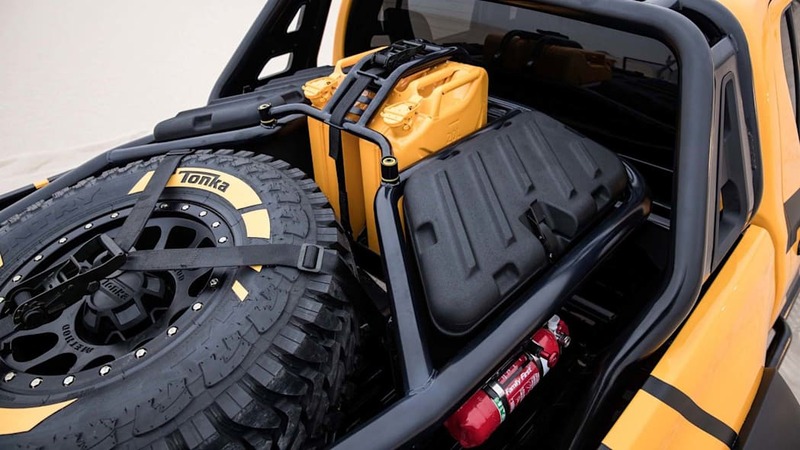 Storage boxes hold extra gear. 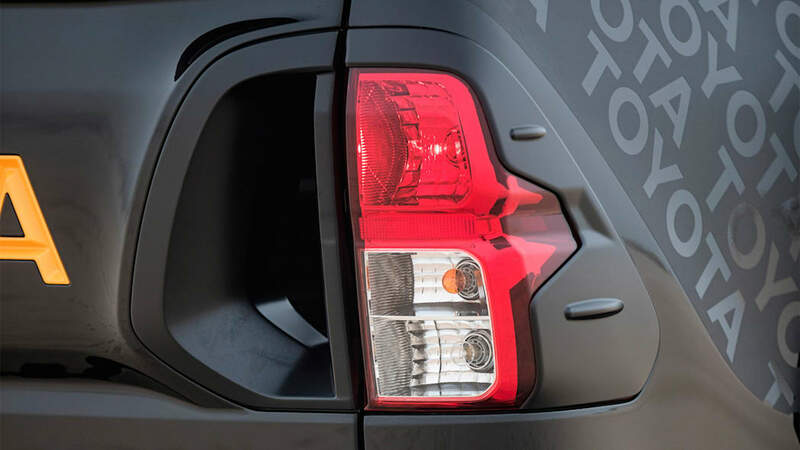 2017 marks two milestones. 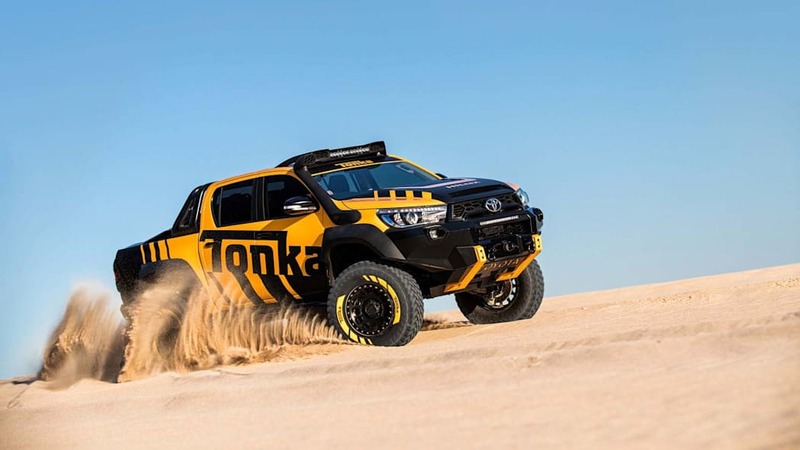 Tonka is reaching its 70th birthday, while Toyota will be 80 in August. 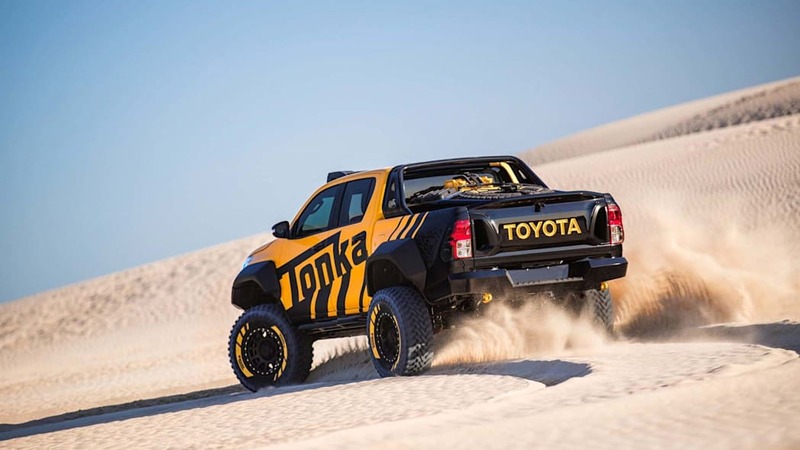 This isn't the first mash up between the two storied brands. 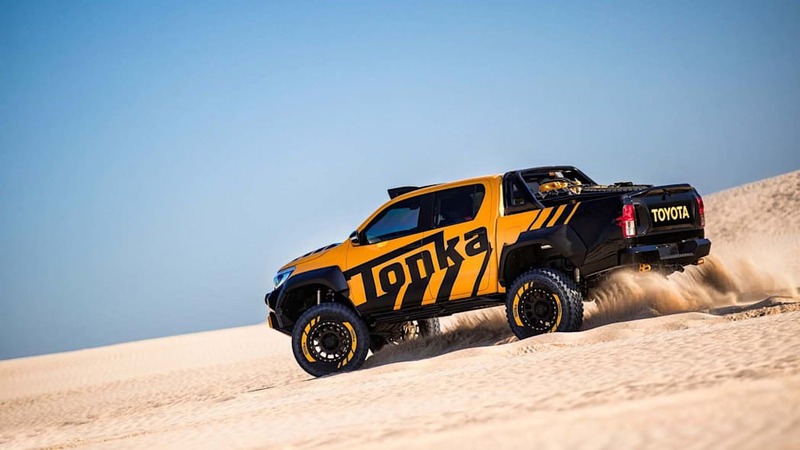 We were lucky enough to drive some other Toyota Tonka concepts a few years back. 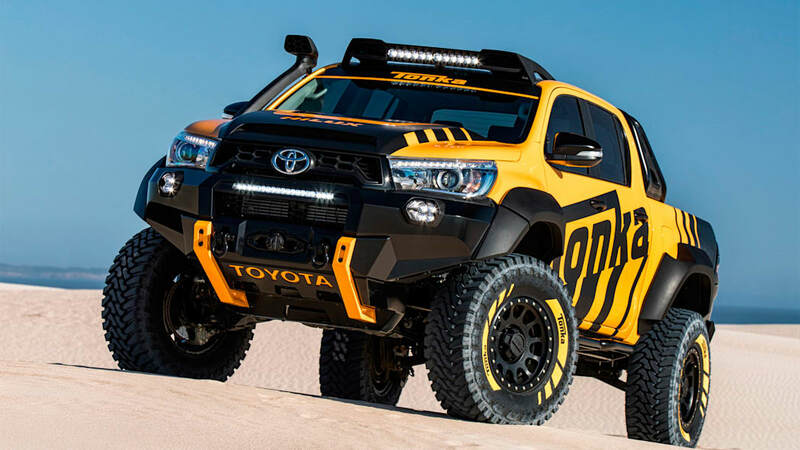 This new one looks just as wonderfully over the top.